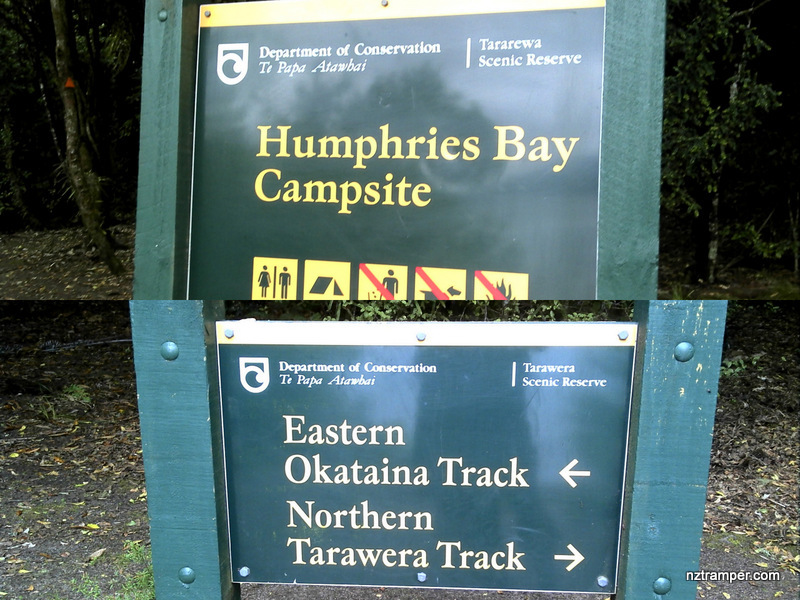 Trails: Lake Tarawera Outlet Campsite foot bridge – Northern Tarawera Track – Humphries Bay Campsite (Junction of Northern Tarawera Track and Eastern Okataina Track) – Eastern Okataina Track – Otangimoana Bay of Lake Okataina – retrace back the same way to Lake Tarawera Outlet Campsite. Caution: No drinkable water supply at campsite! 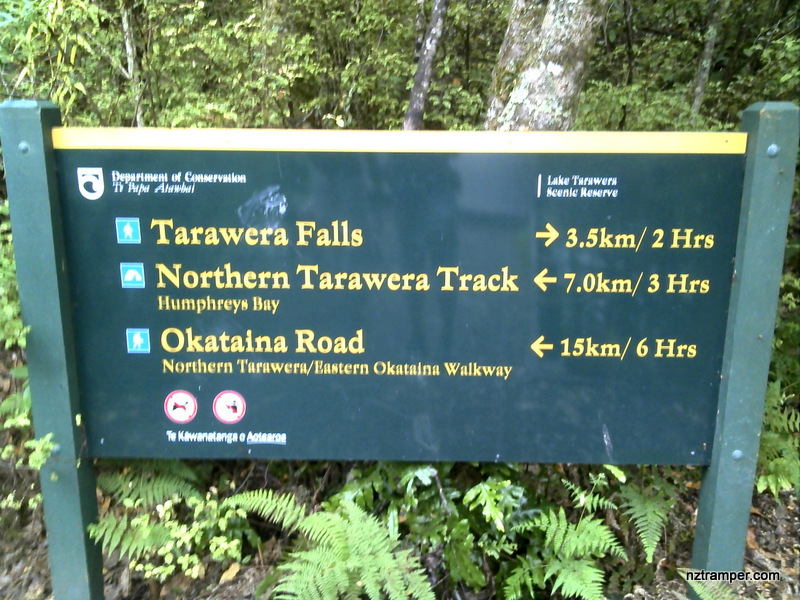 Permits ticket must be collected on the day of entering the forest roads from Kawerau Information Centre! Car Park: Yes. 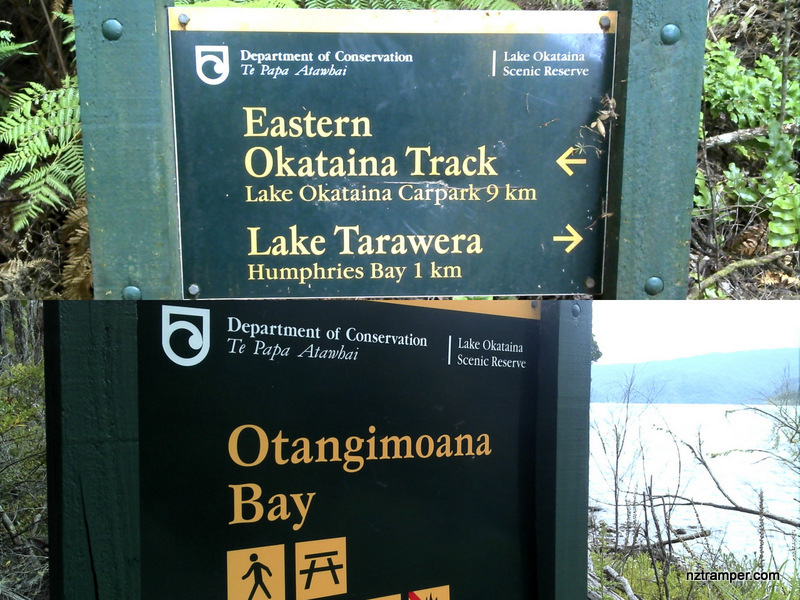 Lake Tarawera Outlet Campsite with ticket. Note: Above is one way track. We took a return in total time: 05:30:00, Total distance: 19.2 km, Total flat distance: 19 km, Climbing distance: 6.8 km, Descent distance: 6.6 km, Flat distance: 5.8 km, Maximum difference: 120 m, Final balance: 0. The “Total Time” is my time in Jan which includes breaks for photo shooting and lunch time. That day was fine and the track was good. If you slow down to average 3 km/h plus 60 min stop then the total time will be around 7:30 hrs.